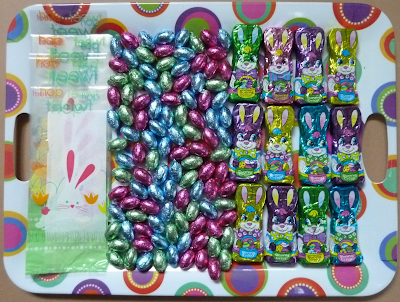 I was doing some comparison shopping at K-Mart the other day when I noticed Easter candy. Easter candy, upon Easter candy, upon...Easter candy. So much Easter candy! Clearly, leaving without Easter candy was not an option. 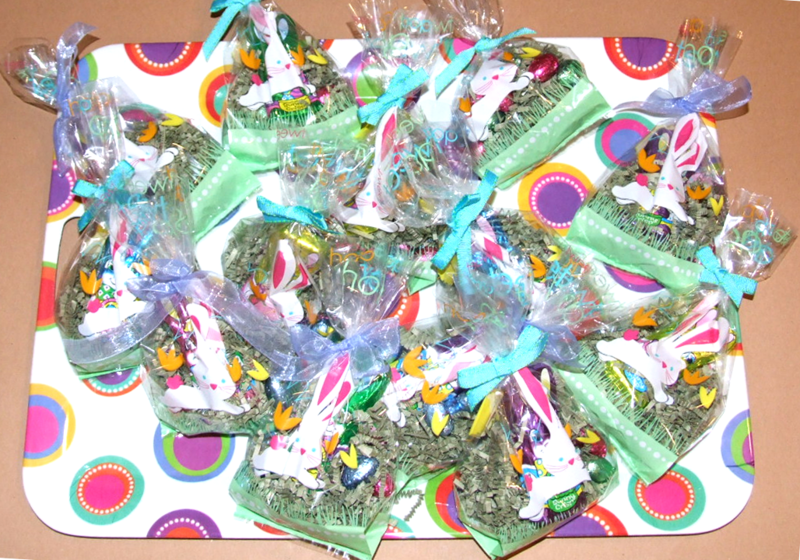 For $2.69 each I picked up 2 bags of foil covered eggs, on SALE for $1 each I got 4 boxes of chocolate crackle bunnies of three each, for $1.99 I got the Easter themed bags, a package of 24 (I used ribbon and crinkle cut from home). 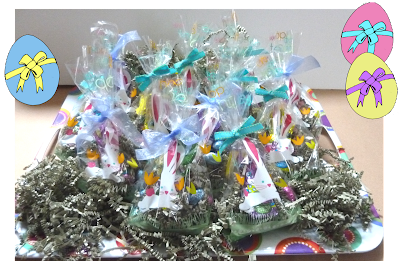 Totaling in at $12.38, I was able to make 12 complete bags with a lot of chocolate eggs left over, that's maximum $1 a goodie bag. 12 bags for $12, not a bad deal. 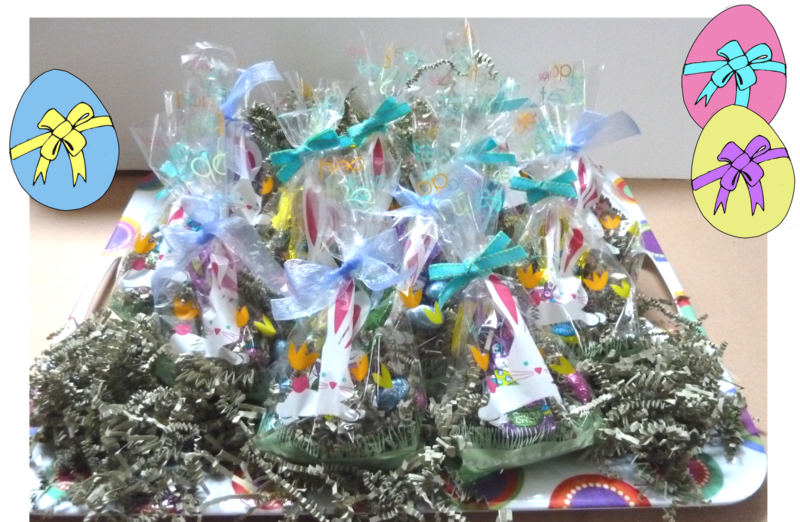 I love rolling into family Easter with little presents for each of the kids- no it's not a great big basket, but it reminds my sweet cousins and sister they're on my mind! *The tray is from Party City.